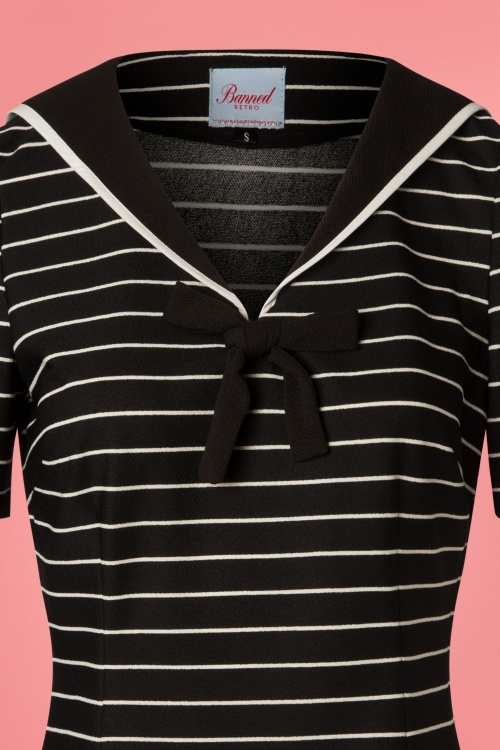 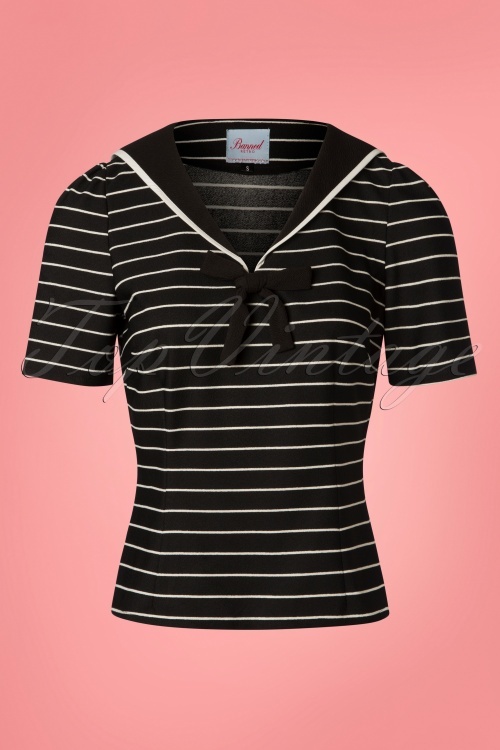 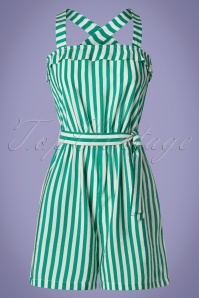 Whether you are a lover of stripes, a sailor girl or just crazy about vintage; everyone needs this top in their wardrobe! 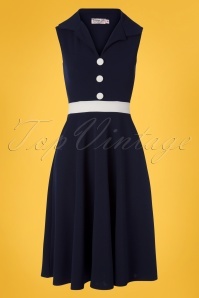 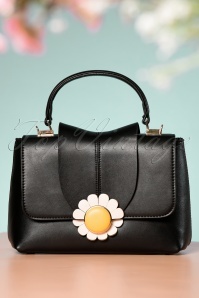 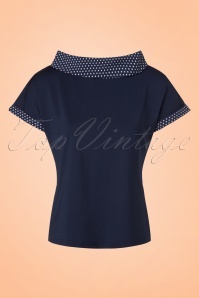 She features a subtle V-neckline, short puff sleeves and a fabulous sailor collar. 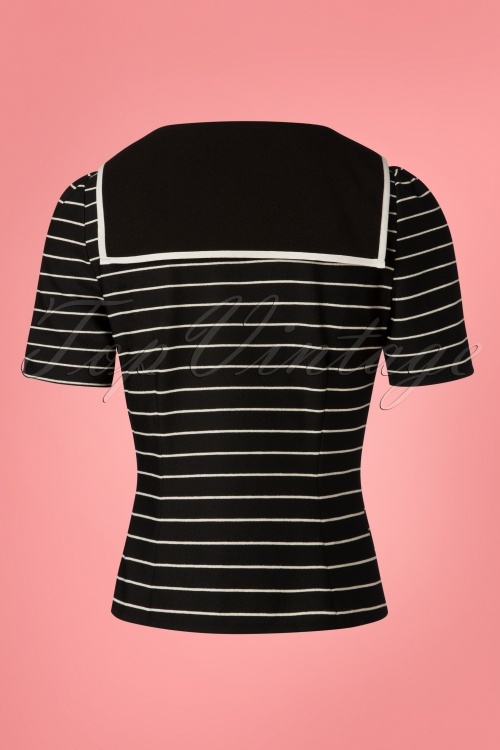 Made of lovely supple, black fabric that has a light stretch and features stripes in ivory white. 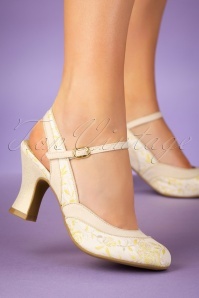 You'll be the anchor that keeps my feet on the ground, Ahoy!